The National Fire Protection Association (NFPA) has introduced a new standard, the NFPA 3000™ (PS): Standard for an Active Shooter/Hostile Event Response (ASHER) Program. According to NFPA, this provisional standard was developed in concert by experts from a wide range of specialties and sets forth requirements for communities to establish a unified planning response and recovery program, long before an active shooter/hostile event occurs. This cohesiveness reduces confusion and makes better use of resources, helping to save precious time and precious lives. Learn more about the new standard. Each year, as required by its founding legislation, the National Institute of Building Sciences compiles an Annual Report of its activities. 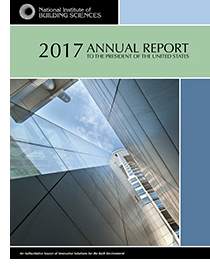 The most recent Annual Report to the President of the United States provides an overview of everything the Institute accomplished in 2017. It was a year of growth and opportunity for the organization, with a focus on some of the highest priorities affecting the built environment. In addition, the 2017 report, Moving Forward: Findings and Recommendations from the Consultative Council, which can be found at the end of the Annual Report, explores how the building industry can and should evolve to meet the changing needs of society and how new technologies and practices can attract a 21st century workforce. Download the 2017 Annual Report to the President of the United States. 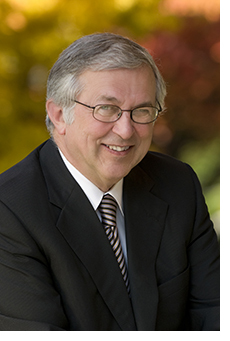 Charles W. Steger, Jr., PhD, FAIA, a devoted member of the Institute’s Board of Directors and accomplished president emeritus of Virginia Tech, passed away on May 7. Charles brought his expertise on education, economic development and resilient communities to the Institute Board where he served from 2011 through 2017. He also served as the Board liaison for the BRIK Building Research Information Knowledgebase. Charles was born in 1947 in Richmond, Virginia, and was both an architect and an engineer. At Virginia Tech, he was the University’s 15th president from 2000 to 2014 and called the institution his home for more than 50 years. His many roles at Virginia Tech included student, professor, dean and vice president before retiring as president. He also served as the executive director of the university’s Global Forum on Urban and Regional Resilience. After receiving three degrees as a student at Virginia Tech: a bachelor’s degree in 1970; a master’s degree in 1971 (both in architecture); and a PhD in environmental sciences and engineering in 1978, Charles went on to direct his institution into becoming one of the nation’s leading research universities and is regarded as one of Virginia Tech’s most influential presidents in its 146-year history. Throughout his career, Charles served his causes, addressing higher education, homeland security, information technology, economic development and international education by participating on many boards of both public and private organizations. He celebrated multiple accomplishments for Virginia Tech, including significant growths in enrollment; raising more than $1 billion in private funding; forming schools of biomedical engineering and medicine; and constructing the Virginia Tech Research Center–Arlington. He was selected as a Fellow of the American Institute of Architects and awarded the Noland Medal, the highest honor of its Virginia chapter. In 1999, Charles received the Outstanding Fund Raising Executive Award from the First Virginia Chapter of the National Society of Fund Raising Executives. 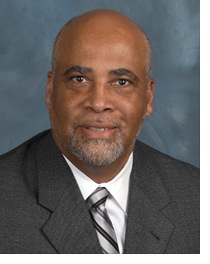 Charles will be remembered fondly by his family, friends, students and colleagues. Read more about Charles Steger. A nationally recognized leader of top industry organizations, Green joined the staff in August of 2008 as the Institute’s fourth president. Over his tenure at the National Institute of Building Sciences, Green reinvigorated the Consultative Council; worked to expand collaboration across the building industry; initiated a number of new Institute councils and committees; and restarted the Institute’s own independent conference. The Institute Board of Directors is drawing on the steps in its succession plan to guide the process of selecting a new president and CEO. The Board has formed a search committee to oversee the process and retained an executive search firm, Vetted Solutions, to coordinate the search. The search is underway. Read the announcement. See information about the search. Institute Board, staff and guests mingle during a reception at the National Institute of Building Sciences to celebrate Building Safety Month. Each May, jurisdictions across the nation celebrate Building Safety Month to educate the public about solutions that improve the safety, sustainability and resiliency of buildings, infrastructure and communities. 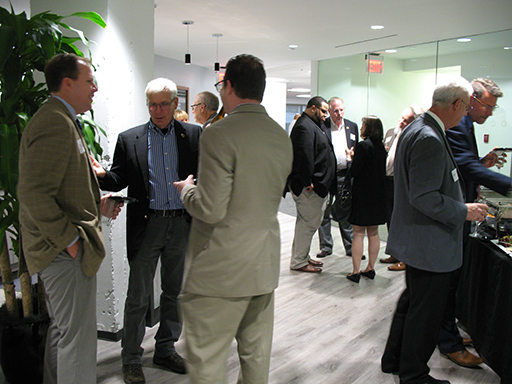 The National Institute of Building Sciences Board of Directors, along with the International Code Council, hosted a reception at the Institute’s Headquarters May 16 in observance of Building Safety Month. The following morning, Institute Chairman Joseph B. Donovan signed the Institute’s Building Safety Month proclamation during the May Board of Directors meeting. The Institute is a supporting sponsor of Building Safety Month. The staff and Board participated in several events throughout May in recognition of the month-long celebration. Read the proclamation. The goal for the Conference is to explore strategies that are Optimizing for Tomorrow. With preparations underway, the Institute’s Conference Planning Team is reaching out to Institute council and committee members and inviting industry professionals to present during the four-day Conference. Industry leaders with valuable insights, case studies, best practices, lessons learned and/or remaining challenges are encouraged to share their knowledge and experiences with the broad audience of building industry stakeholders. Abstracts are due Friday, June 29. Find out more. The editors of the Journal of the National Institute of Building Sciences (JNIBS) are beginning the process of compiling articles for the Winter 2018 edition, which will be published in December 2018. 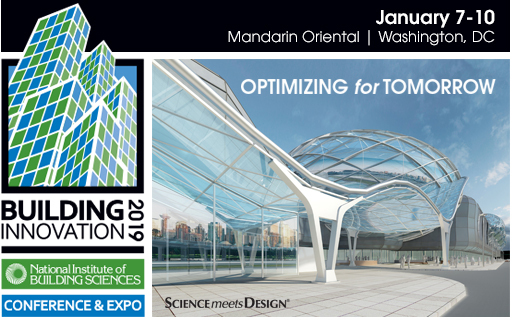 The Winter issue will offer a special focus on resilience, as well as additional feature articles on building enclosure design, building information modeling (BIM) specifications and hazard mapping. Abstracts are due on or before June 15, 2018. Submittals for future issues also are welcome. Submit an abstract. Interested in advertising? Download the 2018 JNIBS Media Kit. Members of the High Performance Building Coalition work with the U.S. Congress during High Performance Building Week and throughout the year to expand awareness of the importance of high-performance buildings. This year, High Performance Building Week will be held June 11-15. A number of activities in Washington, D.C. are scheduled for the week, among them a reception and several Congressional briefings, including one on the Consultative Council’s 2017 Moving Forward Report, which contains policy recommendations to Congress. In addition, the World Standards Day Planning Committee will host an event, Standards: Important Tools for Innovative Infrastructure Solutions. View the schedule of events. The Off-Site Construction Council (OSCC) has three new implementation resources available to help industry professionals better understand and use off-site construction methods. The resources, which are based on webinars hosted over the past two years, are free and downloadable to the public. These new resources include: Getting the Most Out of Off-Site Construction: Steps for Success; Using Precast Concrete as an Off-Site Construction Strategy; and The Rise of Modular Construction: Emerging Commercial and Legal Considerations. To view the related webinars, learn more about the Off-Site Construction Council and get involved in related activities, visit the OSCC web page. Building Seismic Safety Council (BSSC) Chairman James R. Cagley, PE, SE, of Cagley & Associates, Inc., addresses members of the Coordinating Council, as well as members of the Institute’s Board of Directors and staff during the council’s May meeting. Held in tangent with the Institute’s Board of Directors meetings, the Coordinating Council meets twice a year to share updates on projects and discuss activities of the Institute’s standing councils and committees. Learn more about the Coordinating Council. The Federal Emergency Management Agency (FEMA) will host a limited number of webinars to show how mitigation does pay. In January 2018, the National Institute of Building Sciences released an update and expansion to the Natural Hazard Mitigation Saves Study. The new report, Natural Hazard Mitigation Saves: 2017 Interim Report, found that mitigation grants save society $6 for every $1 spent, while exceeding select provisions of the 2015 model building codes saves $4 for every $1 spent. To find out more about the report and be notified about the upcoming webinars when scheduled, visit FEMA’s Natural Hazard Mitigation Saves: 2017 Interim Report webpage. Robert Ivy, Executive Vice President and Chief Executive Officer of AIA, talks about the Building Industry Statement on Resilience and the importance of designing for resilience as he welcomes guests to the AIA’s Building Safety Month reception. 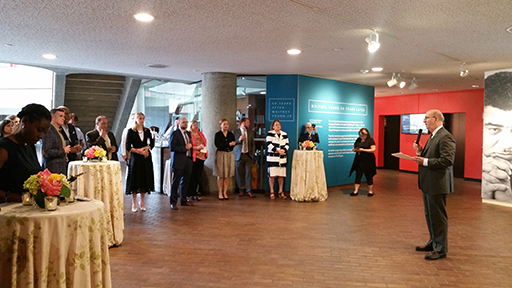 The American Institute of Architects (AIA) held a reception May 15 to celebrate Building Safety Month and highlight how building codes, design and policy intersect to contribute to safe and thriving communities. A convener and original signatory of the Building Industry Statement on Resilience, the AIA assembled a panel of three experts to discuss lessons learned from 2017’s billion-dollar disaster season and offer innovative ideas to enhance the health and safety of our communities. Among the speakers was National Institute of Building Sciences Vice President Ryan Colker, who talked about findings from the Natural Hazard Mitigation Saves: 2017 Interim Report. In addition, special guests from the city of Washington, D.C. read their Building Safety Month proclamation aloud and presented a plaque of the proclamation to the International Code Council. Learn more about the Building Industry Statement on Resilience. AGU Executive Director/CEO Chris McEntee (center) and Skanska Project Manager (third from right) address members of the Institute Board and staff during a tour of the AGU’s net-zero energy building renovation. Members of the Institute Board and staff headed to the American Geophysical Union (AGU) Headquarters earlier this month to tour the renovation taking place at the AGU building as the organization reaches its 100th anniversary in 2019. Led by AGU Executive Director/Chief Executive Officer (CEO) Chris McEntee, FASAE, MHA and Skanska Project Manager Brian Mukolwe, the tour introduced the Institute visitors to the Union and its purpose, provided an overview of the goals of the renovation and included a walk-through of the facility. Located in the Dupont Circle neighborhood of Washington, D.C., the building showcases the AGU’s work in earth and space sciences. When finished, the renovated building will be a physical embodiment of the organization’s spirit and values of scientific discovery. The net-zero energy building will become a living laboratory, with energy and water data collection, and have the first municipal sewer heat exchange system in use in the United States. The renovation also includes solar panels, a radiant cooling system, a green wall, direct current power and a water cistern. Project completion is scheduled for later this year. Learn more about the AGU renovation.